Image Source: Photo Dean. Source License: CC BY-NC-ND 2.0. Adaptations: cropped. Newcomer Community Resource Guides help new residents and business owners easily connect to neighbors and community resources and learn about their new community. A newcomers’ guide can provide housing search assistance, recommend businesses, and link new residents and business owners to needed or desired services, amenities, destinations, events, and even opportunities for work and volunteerism. Its primary purpose is to assist new residents in making a comfortable transition into the community, by creating a welcoming impression and providing helpful information. With thousands of households moving to the CONNECT region annually, it is important to make newcomers feel welcome and acclimated to the area. Newcomer Community Resource Guides put that well-known Southern hospitality into action by helping newcomers easily connect to neighbors and community resources, and learn about different housing options that are available in the community. Newcomer Community Resource Guides can assist new residents in finding the right neighborhood and home for them, and discover employment options. When linked with social media, guides can help bring newcomers together to meet one another as well as other neighbors, get involved with clubs and organizations, find necessary businesses and services, and learn more about parks, schools, and health resources. They can also create service efficiencies within the local government by more easily directing newcomers to the services they need in the community, while providing a sense of welcome and belonging. In general newcomers guides are a great way for communities to market themselves, encourage growth, and inspire potential residents to choose a community as their new home. A Newcomer Community Resource Guide can be assembled by a county or municipality’s staff, visitor center, chamber of commerce, or independent organization. The guide is filled with photos and maps to give a visual sense of the community and is packed full of useful information and pointers. The guide includes information on finding housing, including apartments and homes to buy, key neighborhoods, general geography, landmarks, restaurants and cuisine, and community services. Many guides include recommendations for area businesses, services, and employers that pay for advertising space in the guide or on the website, which helps pay for the production of the guide. The guide also includes practical information on registering vehicles in the new community, hooking up utilities, waste management, finding recreation programs, and school enrollment. A Newcomer Community Resource Guides functions as a one-stop resource for sharing everything one needs to know about relocating and helping newcomers feel at home as easily as possible. Housing options, search assistance resources for home renting and buying and access to real estate agents. Primary employers and links to finding employment. Recreational resources and leisure activities. Health care and child care providers. Contacts to provide more information. Image Source: bendertj. Source License: CC BY-NC 2.0. The Charlotte Chamber of Commerce publishes the “Charlotte Newcomer Resource Magazine” annually to serve as a resource for those relocating to the Charlotte area. The sixty-page document includes information on the history and helpful hints about the city, finding employment, housing and neighborhoods, utilities, child care, car registration, and leisure activities. The document is available both in PDF format, can be sent via mail, and also through helpful links on the Chamber’s website. Charlotte is one of the fastest growing cities and the regions in the United States, thanks to its banking industry that is second only to New York City in the United States. With an annual growth rate of around 2% over the past several years, the city adds about 15,000 persons annually, many from outside of the region who are unfamiliar with Charlotte’s history, its surrounding areas, and Southern culture in general. The guide is helpful for giving newcomers enough background information about the city that the feel at home. It also offers guidance about neighborhoods and schools that will help newcomers Beyond the basic guide, the Chamber’s website also includes helpful links to finding a job, schools and colleges, real estate, health and wellness programs, information for retirees, and recreational activities. The Chamber has a large staff that can provide additional assistance by contacting the Chamber directly. Greater Greenville Greeter works in the Upstate South Carolina region to connect newcomers and first time homebuyers with reputable businesses, community and recreational resources. 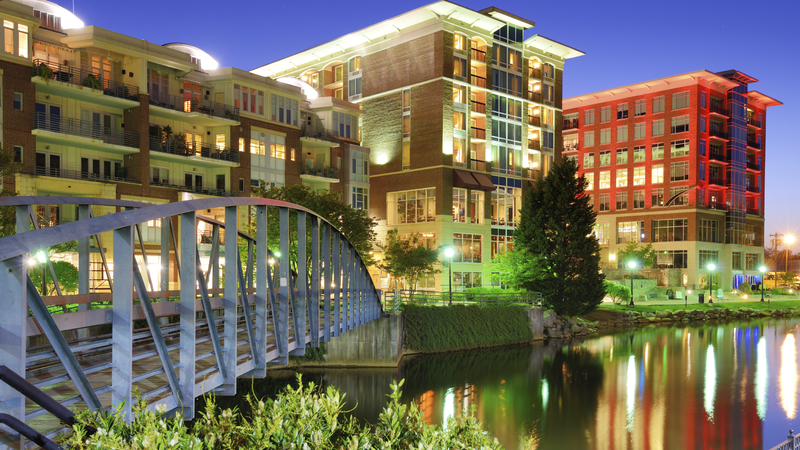 The organization offers information targeted towards newcomers and first-time homebuyers, and also businesses and non-profits that may be relocating to the Greater Greenville area. The organization hosts a website with information on homes, businesses, health care providers, schools, and recreational activities. The Greater Greenville Greeter was founded in 2011 by Brenda Verdone, who relocated to Greenville from Massachusetts with no previous connections to the area. She realized that a comprehensive guide to community, recreational, and social resources was lacking in the community. With a background in marketing and career development, Verdone founded Greater Greenville Greeter to unite newcomers and first-time homebuyers with the resources they need to acclimate faster and enjoy the benefits of the area. The organization and website provides a one-stop shop for users, in which they can peruse links and download the Newcomers Guide and Homeowners Manual. The website also includes links to community events, businesses, and a Facebook page for newcomers to come together. Greater Greenville Greeter is a success because it not only helps newcomers be welcome in the community, but also benefits businesses who get referrals from the site. In general, Greater Greenville Greeter has aided in not only making new residents feel at home, but bringing together the community as a whole.